Finally available! Now give your ride a stylish appeal with the Black colored Steering Wheel made from high quality material that is designed to prevent cracks and damage. This steering wheel will give a new “showroom” condition appearance to your ride. 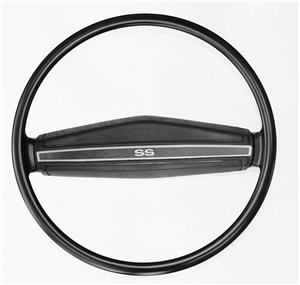 Includes Steering Wheel and padded "SS" Center Shroud.